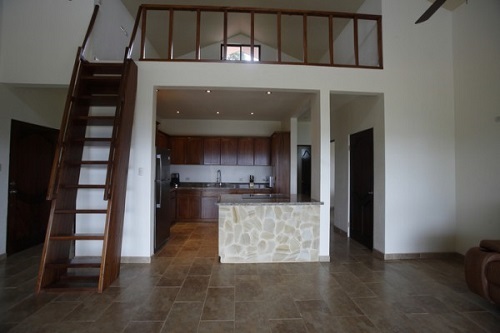 New custom built stone craftsman house is located in a charming neighborhood, a short 10 minute walk from Nuevo Arenal. 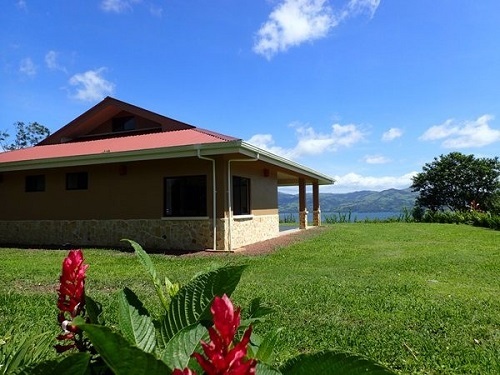 The home has a bright and spacious open floor plan with fantastic views of Lake Arenal. * Total square footage of the home is 1900 sq/ft. 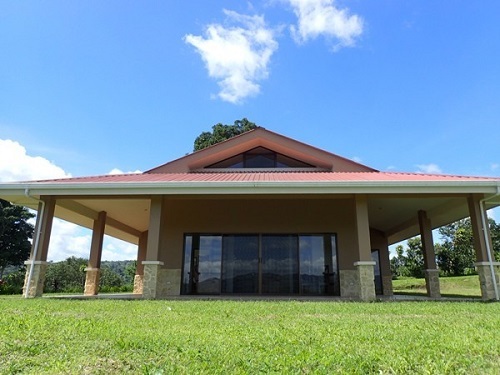 with a large lot of 14531 sq/ft. * A huge wrap-around porch is easily accessible for outdoor entertaining and enjoyment, without blocking light. 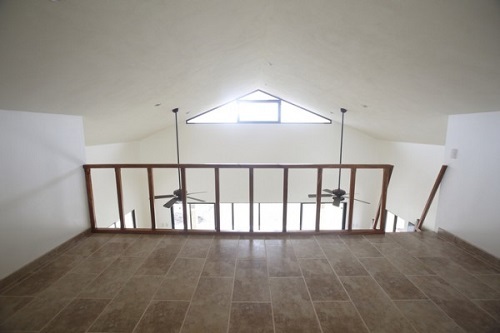 * The great room has sliding glass doors which span from one side of the room to the other. 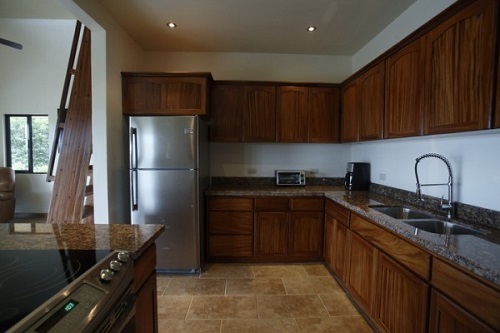 * A fully equipped kitchen features ample cabinet space made from exotic hardwood, new stainless steel modern appliances and granite counter tops. * The laundry room is equipped with a brand new stackable washer & dryer. * A large sleeping loft or office is located above the kitchen and has dramatic views overlooking the lake and mountains. 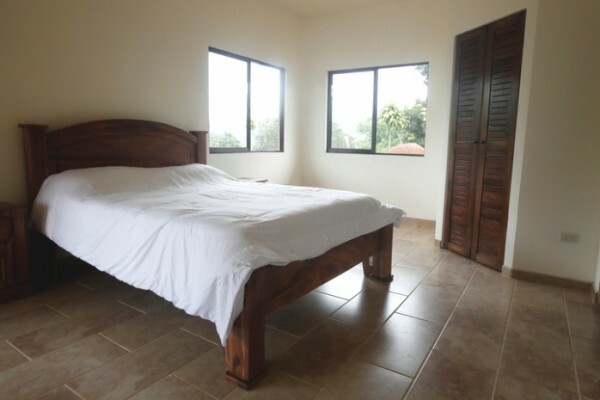 * 2 Fully furnished bedrooms with beds and linens. Each with a walk-in closet and a sliding glass door which leads out to the wrap around porch. 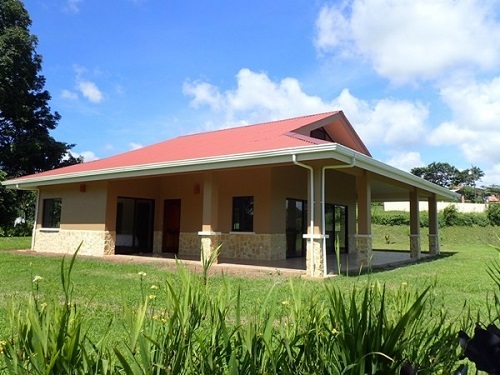 * 2 Bathrooms each with a large natural stone walk-in shower. 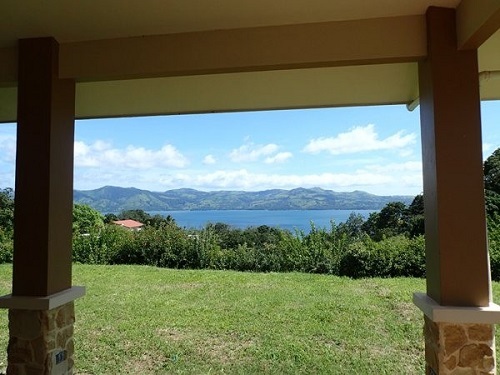 * Bedrooms, loft, kitchen and great room all has amazing unobstructed lake & mountain views. * Ceramic tiled floor throughout the house and patio. * Natural stone accents around the exterior base of the house and the columns. * The property has a private main entrance with a block wall and wrought iron gate. New custom home with huge patio. Large grass yard surronds the home. Plenty of space for your garden. Huge top of the line kitchen. A huge loft for an office or extra sleeping space. Please call us or e-mail for more picture or information.